In a repeat of last season’s Eastern Conference Finals, the Cleveland Cavaliers and Boston Celtics will play for a shot at the NBA Finals. And this year, fans will pay even more than they did last time around. According to data from TicketIQ.com, the average asking price on the secondary market for the series, which starts in Boston on Sunday, is $670, the highest since the company began tracking data. In 2017, the same matchup cost fans an average of $622. The 2018 price is the fourth most expensive across all conference finals since 2011. 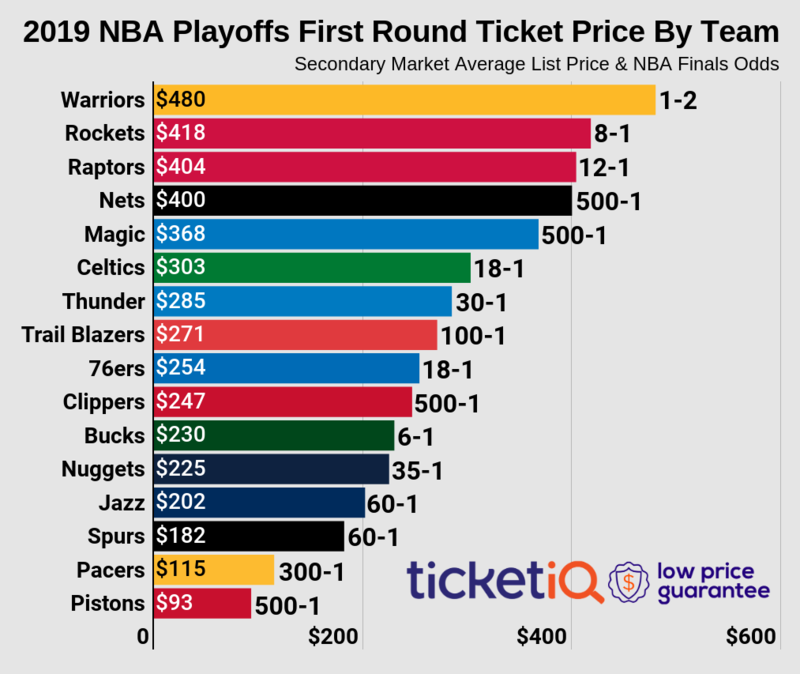 By comparison, though, the East finals are a bargain – the Golden State Warriors-Houston Rockets Western Conference Finals currently have a decade-high average asking price of $965. Fans in Boston will pay significantly more to see the Celtics play at home than Cleveland fans will pay to see the Cavs at home. The average asking price for a ticket to TD Garden is $840, and the cheapest ticket of the series on the secondary market is $519 for Game 1. Should the Celtics host a Game 7, fans should expect to lay down more than $1,000, as the current average asking price is $1,345. The next most expensive game in Boston is an if-needed Game 5 at $903. Cleveland fans should expect to pay less than for tickets than any of the three other cities hosting a conference final. Tickets to the three games set for Quicken Loans Arena have an average asking price of $444, and at $369, Game 3 is the cheapest in either the East or West. The most expensive game in Cleveland is the if-needed Game 6, which has a current asking price of $564. The get-in price on the secondary market is as low as $90 in Cleveland (Game 4) and $152 in Boston (Game 1).